The goldenrod is an easy-to-maintain perennial plant that can be found across New Jersey. This plant creates bushy deciduous leaves and blooms during late summer and early fall. Goldenrod does best in full sun and is attractive to butterflies and birds, but is deer resistant. 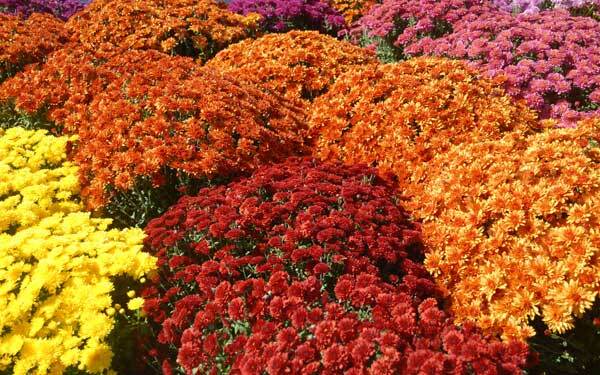 Fall mums usually require about six hours of sunlight each day, and can grow well into the season. Mums are an inexpensive plant that don’t require too much maintenance, and are a great way to add some color to your landscape. You’ll want to get hardy mums, rather than florist mums as they are meant to flourish long-term. Before winter, you’ll need to protect mums by covering them with several inches of mulch. 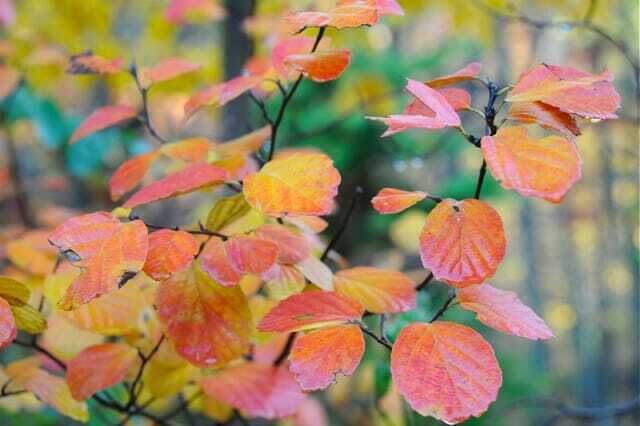 This shrub is deciduous and turns into a bright yellow-orange-red color combination in the fall. It can grow up to six inches in height when mature, and grows best in moist soils with full sunlight exposure. Plants should be paced approximately two to four feet apart. Fothergilla should be watered twice to three times a week. Although the Chinese Pistachio tree is known as the “ugly duckling” of the tree world, their beauty shines during the fall. It features a wide canopy and can group up to 25-35 feet, and give off a bold orange during fall. 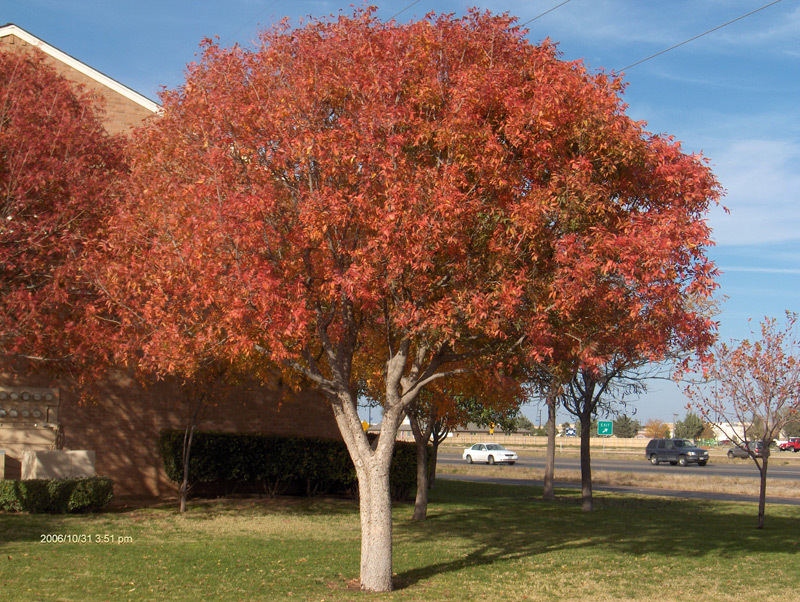 For younger trees, feed it with fertilizer during fall and spring. Once the leaves fall, a seasonal yard cleanup is recommended to keep this tree neat. While most people think of fall as a time for foliage and plants that turn bright orange and yellow, it’s actually also the best time in New Jersey to plant grass seed. Cool season grasses will flourish during the fall and spring, and will go brown during the summer. Zoysia grass is a popular choice, as well as tall fescue.